Coys ''True Greats'' sale next monthly truly is a spectacle. The sale includes an incredible selection of historic motor cars, which Coys are renowned worldwide for their expertise in. As well as these fine examples of engineering, the auction features the Marc Slattery Collection of James Bond art, posters and memorabilia. 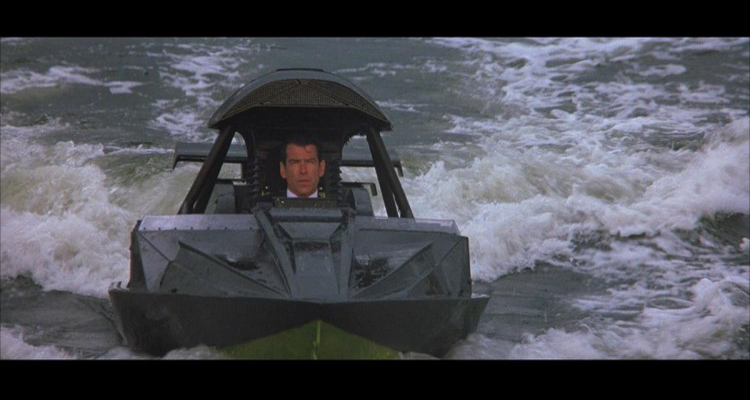 Here at Barnebys, we have chosen a small selection of the fantastic pieces going under the gavel, including the high speed jet boat created for and used in the pre-title sequence of the Pierce Brosnan Bond film The World is Not Enough. This vessel was specially constructed for use in the opening scenes in which Bond pursues the villains along the river Thames. Fifteen versions of 'Q's high-tech boat were made, just four of which were fully functional, powered by 5.7L V8 engines, including this one. The others were designed for special effects sequences including underwater and barrel role shots. Only nine of the 'Q Boats' remain, mostly as part of touring exhibitions and museums. This particular vehicle had the filming canopy removed once production wrapped, but retains a number of original filming features including a racing driver's seat, steering wheel and most importantly, the functional watertight Chevy engine. The sale will take place on 1st December 2015. Check out Coys on Barnebys here.